Home / House fly / How Do You Control House Flies using Sprays? Flies are more than a mere nuisance; their presence alone is often annoying, leaving alone the effects they have on the larger well-being of humans. Being carriers of deadly diseases, flies can easily infest food items and are capable of spreading food poisoning bacteria. This makes it imperative to get rid or control house fly population in or near human habitations. When it comes to eradication and control of houseflies, there are plenty of methods today, but here we will be discussing sprays as these are one of the quick fire ways to do away with house flies. There are wide varieties of sprays that will help you to combat the nuisance of house flies and listed below are some of them that will enable you to choose the right one based on your need. One of the safest known insecticides to mankind is pyrethrin based sprays which is easily available in any farm or agricultural insecticide shops. Pyrethrin is an organic compound found in chrysanthemum flower that is proven to have insecticidal property. It targets the nervous systems of flies and hence is very effective in getting rid of them. Pyrethrin based sprays come in different concentrations that can be based on the livestock on which these are used to ward away flies. It is imperative to buy the formula that is labelled specifically for a certain livestock. For instance there are separate labels for cattle and hens. It is recommended that pyrethrin based sprays are used on a daily basis on livestock to ensure housefly control in farms. It can either be sprayed directly or can be applied with a sponge. For partial control using it every other day is good enough. However, no matter the benefits it offers, it’s always best to apply it with caution as any insecticide contains toxins. While using sprays ensure that it doesn’t get sprayed on livestock feeds. Manure sprays are used on crops, as flies tend to get attracted to manure. These sprays aim at killing the flies at the larval stage. Like the sprays used on livestock, it is imperative to use these manure sprays as per the crop listed in the product label. Manure sprays are recommended where it becomes difficult to change manure quite often. Since it is not possible for massive crop fields, it is best to use manure sprays to control houseflies populations. 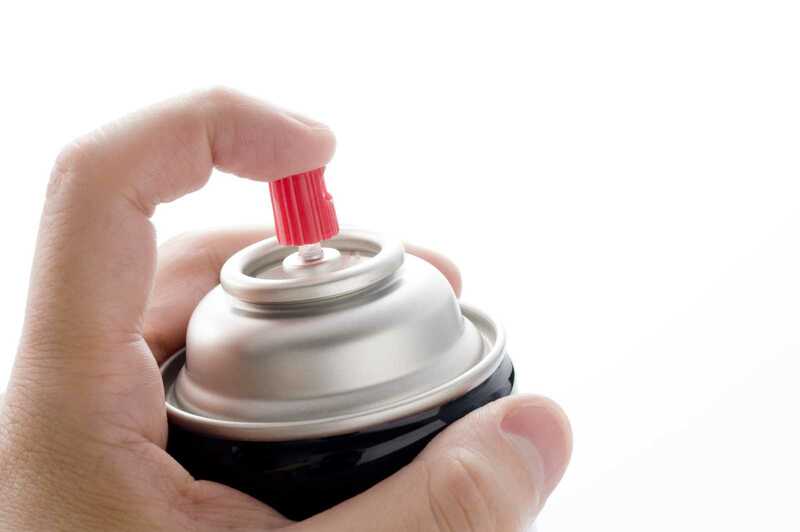 Pressurized aerosol spray cans are capable of producing a mist of insecticide emulsion in a given space which is easily absorbed by the insects when they fly. This method is called space spraying where small droplets of insecticides are produced using either hand operated or battery powered sprays. They have an instant effect when compared to residual sprays. This is a very suitable method for using indoors, outdoors whenever faced with a dense cluster of flies. Indoor space treatments are extensively used inside animal sheds and residences where flies tend to frequent. When used in Farms & Sheds: In farms and livestock sheds, space treatments are preferred to toxic baits and residual treatments. The insecticide chosen must be animal-safe, so it is best to check the labels before deciding to spray inside farms and animal sheds. It is recommended to use indoor sprays in the evenings, when the housefly population is the highest indoors. When using sprays inside Residences: Even though the spraying lasts for anything between 5-20 seconds, it is imperative that the entire place remains closed at least for an hour. It is not recommended to let anyone inside the treatment area at that time to avoid any potential health risks. No food to be exposed in the treatment area and all food contact surfaces needs to be thoroughly cleaned and washed prior to use. Indoor space treatments are best for reducing housefly populations in animal sheds, shops, restaurants, kitchens, houses, etc. Inability to use sprays inside restaurants and kitchens when food is prepared or served makes it a not-so-favorable as a first choice of housefly control. If you are looking at temporary and quick fix solution to get rid of houseflies, outdoor space treatments come in handy. It is used extensively in refuse dumps where it is not possible to have adequate soil cover like food industries, markets, recreational areas, etc. It is imperative to understand that outdoor space treatments are only a temporary option and do not give you permanent solutions to control or eradicate house flies. It can kill those flies that are exposed in the treated areas, hence sheltered flies and breeding sites cannot be done away with. Outdoor space treatments are effective when housefly populations are the maximum outdoors, especially in the morning hours. Everyday treatments can substantially reduce housefly infestation. Outdoor space treatments are done with the help of power-operated equipment from the ground or the air. Application involves ultra-low-volume spraying, fogging or mist spraying. Mist blowers are the best recommended for not only ease of use but also depend less on air currents for distributing the insecticide. Outdoor space treatments are quick fix solutions where huge populations can be reduced in no time. However, these applications need to be repeated almost every day for effectiveness, which can have a direct bearing on your purse. Also outdoor space treatments are not very successful at eradicating houseflies thanks to the abundant breeding sources. 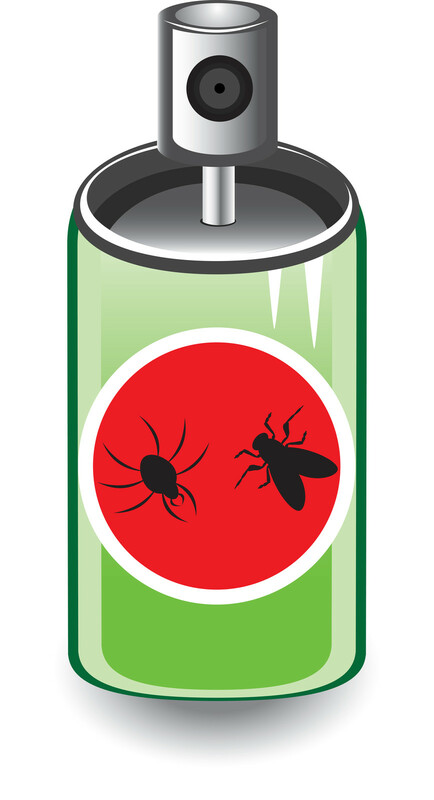 Direct sprays are best recommended when flies can be killed instantly and ensure that the residue thus left kills larvae and does not favor those that are bound to infest it later in the day. Organophosphorus compounds in kerosene solution or aqueous emulsions at a concentration of 1-2% are used predominantly in direct sprays. Surface treatments with 0.5% diazinon or 1% malathion can come in handy where there are housefly clusters. Surface sprays discharge a mist that kill flies. However, surface sprays aren’t recommended to be used near or on food service facilities as it has the potential to contaminate food. While using surface sprays, it is imperative that all food contact surfaces are covered and people are not permitted to enter until the mist settles down. Residual sprays are best used in breeding and resting places. As the name suggests, these sprays leave a residue or deposit that will kill houseflies when they come in contact with it. While treating it is important to ensure that the spray forms a thick layer on top of the treated surface. Residual sprays are effective when professionals use them. Similar to other insecticides, these must not be used near open or packaged food items. Food contact surfaces too need to be completely covered and washed thoroughly before use. If you do not favor the use of insecticides in your home, yet want to do away with the housefly menace, here are a couple of things that can help you out. Apart from being a beauty accessory, hairsprays can help a great deal to help you swat flies away. A brief spray on your flying pest will create a liquid elastic layer on the wings of houseflies very similar to the effect it has on hair. Once the wings are difficult to move, the housefly will move about slowly making it an easy target to swat. However, this is best only when the numbers are in single digits, not when you are swarmed by a cluster! This natural spray apart from being effective in warding off houseflies is also an antibacterial disinfectant. Hence, it actually solves more than one problem! Step 5: Let the jar age for about a couple of weeks. Ensure you shake it a bit once every now and then to reinvigorate the contents. Step 7: Strain it into a squirt bottle and spray on housefly infesting areas. Use it repeatedly for better results. Prevent Houseflies Before It’s Too Late! The best way of controlling houseflies is to prevent them from frequenting your space in the first place. Here is what you can do, to ensure that they don’t get comfortable around your dwelling areas. Install bug screens at potential entry points in doors, windows, ventilators, etc. 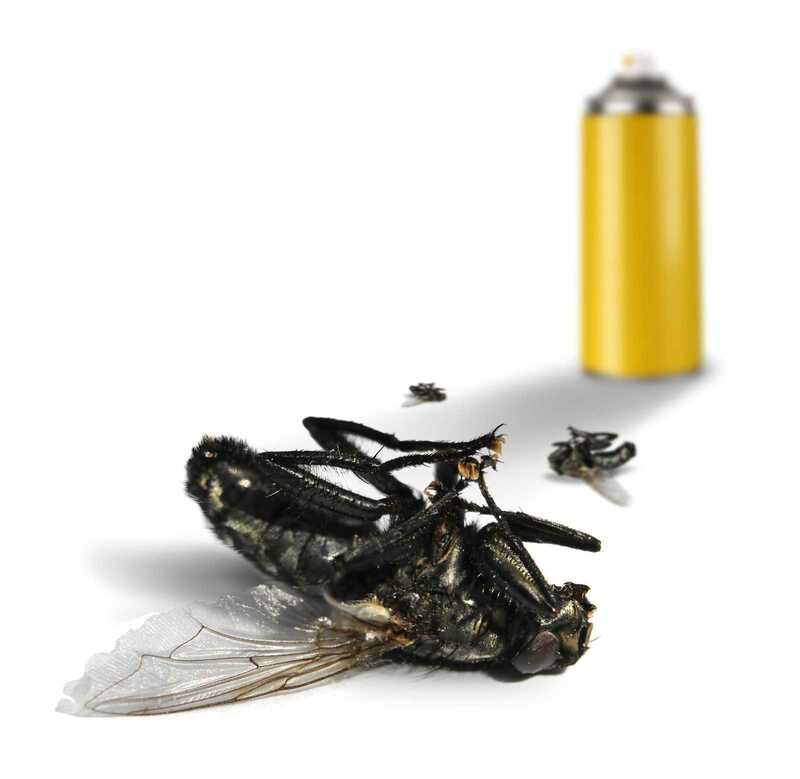 Though chemical sprays can act on houseflies instantly, they can pose serious health hazards if not used properly. It is recommended to read the instructions in the product label carefully before usage. If you intend to use any product for the first time, you can go through housefly repellant reviews to get a fair idea and its usage tricks and nuances. Apart from sprays, there are other forms of house fly control systems like electrocuting machines where flies are controlled using electricity and ultra violet light, house fly control traps, baits and glue boards, repellant plants, etc.